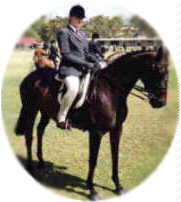 These photos are of Elle (Moonlight Calypso), Carolyn's horse, who lives in Melbourne, Australia. 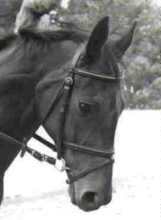 She is a 15.3hh bay thoroughbred mare who is 11 years old and adores dressage and jumping. 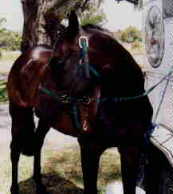 To find out more about Elle, visit Carolyn's Horsey Homepage . More photos of Elle to come!